The weather will soon be turning in our favour and it’s time to start thinking about the first trips to the beaches. If you want to get away to somewhere relatively inexpensive and are willing to put off the tropical holiday until later in the year, then Belgium has plenty to offer for a mini-break. P&O ferry’s Hull to Zeebrugge service will take you to the coast of Belgium where beach resorts are just beginning to get going for the year. Zeebrugge is bordered by Blankenberge to the west and Knokke-Heist to the east. Both are commonly overlooked destinations but have so much to offer a family looking to make the most out of half term break or just a long weekend. These towns are relatively small, if however you fancy something a little more classically Belgian – then Bruges is just a little ways over, down the N438. As well as numerous small hotels, chalets and cafes, many of which look out on to the sea, there is also a number of great places to take the kids for outings. The latest batch penguin chicks at the National Marine Park Sea Life Centre of Blankenberge. This is a huge centre with over 50 aquariums and over 2500 oceanic creatures. There are feeding shows each hour and you can come face to face with everything from crabs and turtles to nurse sharks. To plan your trip visit their website Serpentarium. The number of terrariums has grown to 150 in the 15 years since this centre opened. You and the kids will have the chance to show just how brave you are and pet the snakes and reptiles there. For a bit of adult time, or if you’re not taking children with you on your trip to Belgium then Blankenberge is also home to the Middelkerke Casino and a couple of other gambling houses. These are all primely located near beaches, hotels and restaurants, perfect to cut loose for an evening if you’re feeling lucky. Knokke-Heist is more of a cultural town in comparison to its eastern counterpart Blankenberge. It has a long history dating back to the middle ages and since it is so close to the border with Holland was often in dispute. This town is home to more than 40 art galleries you could spend your entire trip looking at fine art and barely have to leave the coast. Don’t judge the town solely by its artistic merit, each July the festival Kneistival draws crowds from all across Europe for a bit revelry and live music. More information about this event is yet to be released but if you’re planning a holiday with friends this is an excellent choice, since you’ll be staying relatively close to the ferry port and won’t have to restrain yourself from partying too much because of a long journey home when the festival is over. If you fancy a walking holiday Knokke-Heist has a nature reserve called Zwin. It’s a relatively small park but one of the few places where you’ll get to see such a large variety of salt resistant flora. A very unique reserve when compared to the flower gardens and greenhouses to be visited in the rest of Europe. Zwin is coastal site and one of the few places where white storks can be seen, it’s for this reason that there is a small zoo there which specialises in the major domestic birds of the area. Bruges is a popular choice for tourists in Belgium. The picaresque city is a perfect setting for what you want out of your holiday in Belgium. Whether its gastronomy, you can get fresh mussels, Belgian beer, chocolate and waffles or more sophisticated cuisine in the restaurants. Bruges is also famed for its markets, if you plan to go antiquing or wish to purchase art, markets are hosted there monthly. 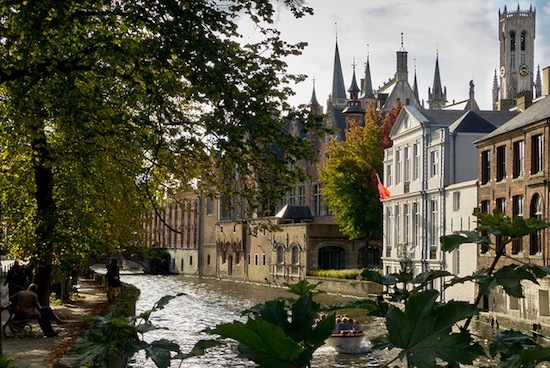 History buffs will truly be in their element, a decent tour book will leave you wishing you could stay longer because theirs always more to see in Bruges. For the more active tourists this city is haven for cyclists, it’s pretty much the main way to get about and is also the starting point for the Tour de Flanders. You can also take canal rides to admire the architecture with tour guides to to point out the finer points of Bruges’ majesty. 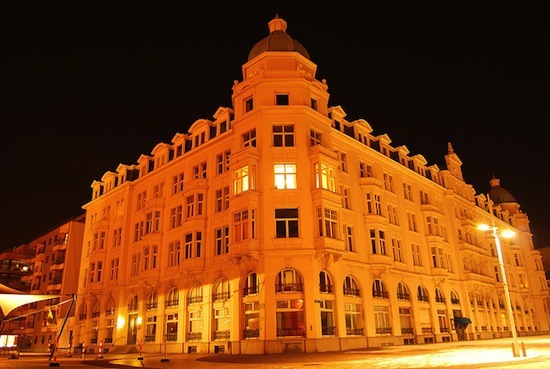 If you want to stay in the city, it has hotels ranging from deluxe to highly affordable, you’re well placed to get out and see the rest of Belgium. One popular destination for 2014 will surely be Ypres the site of many major battles in world war one. You’ll be able to visit some of the grandest war memorials in Flanders and have a scenic train ride for contemplation on your way back to the hotel in Bruges. 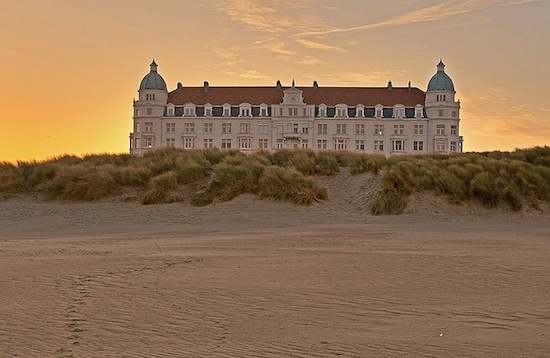 Nearby in Ostend is the beach resort first constructed by King Leopold II before he laid waste to Brussels. This resort is framed by 19th century villas that have been classified as national monuments. An area of great beauty that has all the fun of the beach rolled in to it. Certainly a brilliant alternative to break up the historical and cultural tours that are expected of most tourists when visiting Bruges. P&O ferries run a daily service from Hull to Zeebrugge, drifiting along the waves is a fantastic way to arrive in Belgium for a tranquil holiday.